For the past seven years, there’s been a second man in my life. His name? Elias P. Demetracopoulos, hereinafter referred to as Elias. I never met the man, but he figured importantly in our household. My husband, Jim Barron, is writing a biography about the life and times of Elias, an independent journalist, a fighter for freedom and democracy in his beloved Greek homeland, an enigmatic fixture on the Washington social and political scene, an exposer of government secrets, whether in D.C. or in Athens. Elias died on February 16, and he was remembered this weekend in the Washington Post and the New York Times. Melville House, based in New York, is Jim’s publisher. We all expect the book to be completed this year. After learning of Elias’ death, Jim wrote an appreciation. The following, in Jim Barron’s words, provides a sneak peek at the biography and the other man in our household. 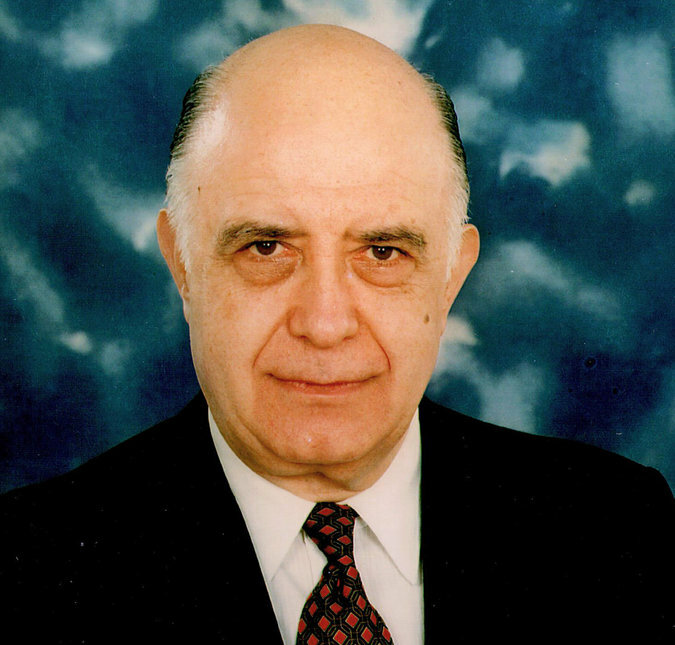 Elias P. Demetracopoulos, 87, who died on February 16 was an exemplar of an earlier Washington. A leader in the campaign against the Greek junta of 1967-1974, he was a journalist, information broker, political operative and human rights activist. For over 70 years, from the Nazi occupation of his homeland through the Turkish occupation of Cyprus, Demetracopoulos was a forceful presence here and in Greece. To many he was a man of mystery, an outsider who knew how to compartmentalize relationships, keep confidences and wield insider information. There might never have been a Watergate scandal or a Nixon presidency if Larry O’Brien, Democratic Party chairman and Hubert Humphrey’s campaign manager, had used the “October Surprise” Demetracopoulos gave him in the razor-close 1968 election. In 1972, O’Brien still had in his files that secret— an illegal cash transfer of $549,000 (close to four million in 2016 dollars) from the Greek CIA to the Nixon campaign, probably originally US taxpayer money. According to journalist Seymour Hersh, writer Christopher Hitchens, historian Stanley Kutler and others, this damaging information was part of what the Watergate burglars were looking for. “Elias,” as he was known about town, was a familiar figure on Capitol Hill, in executive department offices and at diplomatic receptions. It was a time when personal relationships trumped partisan differences. Originally a fiercely independent globetrotting newsman, for publications including Kathimerini, Ethnos, Makedonia, the Athens Daily Post and The New York Herald Tribune, Demetracopoulos’ relentless drive for news scoops pitted him against both Greek and American administrations from Truman to Clinton, especially Kennedy’s and Nixon’s. For years, Greek and American intelligence closely monitored him and tried to destroy his reputation and career. When American diplomats cut off his access to sources, and the CIA pressured US newspapers to fire him, friends like Admiral Arleigh Burke and General William “Buffalo Bill” Quinn came to his aid. After the April 1967 military coup in Athens, Demetracopoulos declined offers of European asylum, believing Washington to be the best place to fight the dictatorship. But when he escaped the junta that September, Secretary of State Dean Rusk, seeing Elias as a troublemaker, tried to block his entry to the United States. A diverse alliance ranging from Republican Senator Strom Thurmond to Democratic Congressmen Emanuel Celler and former California Governor Pat Brown pressured President Johnson to let him in. Spiro Agnew and Richard Nixon. She also provided him a choice table with telephone at the Jockey Club from which to conduct his business –and warned him the FBI had bugged his room. With doors closed to him as a journalist, he used his international and domestic connections to support himself as an information broker. He became a political intelligence gatherer, connecting friends from both parties with his Wall Street clients. But his primary focus remained the overthrow of the Greek dictatorship. Sleeping less than four hours a night, Demetracopoulos painstakingly helped build a bipartisan legislative coalition to block Nixon Administration military aid to the junta and push for the restoration of democracy. He testified before Congress, publicly debated his opponents, was a reliable source for journalists, and personally arranged bipartisan congressional fact-finding investigations to Greece, bypassing US embassy protocol. His effectiveness infuriated two governments and mystified his critics. Deemed a “dangerous gadfly” by the Nixon Administration, Attorney General John Mitchell threatened to deport him. And when members of the junta plotted to have him kidnapped from Washington and killed, it appears the US government stood by. Senator Edward Kennedy learned of the danger and warned him, probably saving his life. Handsome, urbane, cosmopolitan, immaculately attired and a good conversationalist, he was for years the ideal “extra man” for Georgetown dinner parties. Glamorous women, like his close friend television talk show host Deena Clark, regularly invited and even drove him to events. He never learned to drive, claiming he couldn’t drive and think about work at the same time. After a lifetime of fighting abuses of power, Elias turned to exposing the secrets and lies in his own government files and setting the record straight. For a decade, using the Freedom of Information Act, he stubbornly chased the FBI and CIA, suing them not for monetary damages, but to vindicate his reputation. With the help of Washington friends from all sides, he eventually succeeded. In a 2008 he was honored by the Hellenic Republic for being “a champion of freedom and democracy” for his “outstanding services to Greece” as a journalist and selfless opponent of the military dictatorship. At the Greek Embassy in Washington, guests from former Senator George McGovern to former CIA and FBI director William Webster paid tribute to him. Two years ago, a documentary called “A Time for Heroes,” featuring Demetracopoulos was released in Greece as an inspiration to his countrymen. At his Athens funeral last Friday, Apostolos Kaklamanis, former minister and longest- serving president of the Greek Parliament since 1974, eulogized Elias as the highest expression of patriotic independent journalism, a paradigm for his profession. I welcome your comments in the section below. I will pass them along to Jim. To be alerted when a new blog is posted, click on “Follow’ in the lower right portion of your screen. This entry was posted in Media, Politics, Uncategorized and tagged 1968 presidential election, A Time for Heroes documentary, Adm. Arleigh Burke, Apostolos Kaklamanis, Athens Daily Post, Christopher Hitchens, CIA, Clifford Hackett, Cong. Emanuel Celler, Dean Rusk, Deena Clark, DNC Chairman Larry O'Brien, Edward Kennedy, Elias Demetracopoulos, Elias Demetracopoulos obituary, Ethnos, FBI, Freedom of Information Act, Gen. William "Buffalo Bill" Quinn, Georgetown, Gov. Pat Brown, Greek bearing gifts, Greek journalist, Greek junta, illegal campaign funds, James H. Barron, Jim Barron, Jockey Club, Kathimerini, Louise Gore, Makedonia, Melville House, Nw York Herald Tribune, October Surprise, Richard Nixon, Sen. George McGovern, Sen. Strom Thurmond, Seymour Hersh, Spiro Agnew, Stanley Kutler, Watergate scandal, William Webster. Bookmark the permalink. Hi Marjorie. Was this book ever published? I am wondering if your husband had certain documents of Elias’ pertaining to Watergate and the “Greek Connection” which may reference my Grandfather. Could he email me? Thank you. book had to be cut down, which took a year. Almost ready to go to publisher…..again. ok. If you could have your husband contact me regarding the documents I am looking for on behalf of my family that would be great. Thank you! Thank you. You have elucidated the man and his mission in a way that brings him to life for me again. I had the great honour of working to help him in the last years of his life and your description of his dignity and doggedness in the pursuit of openness and the path to the truth are spot on. I am so looking forward to the book!